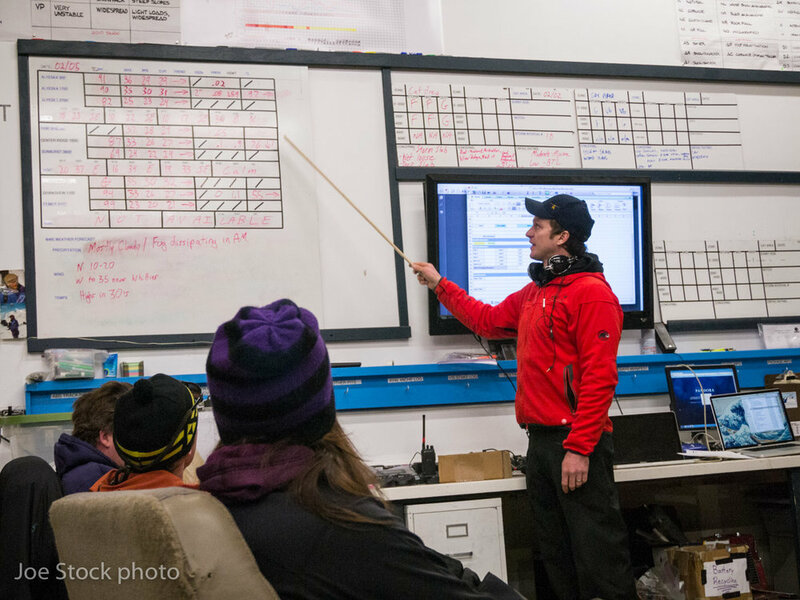 The best way to learn ski guide skills is to train with an IFMGA Mountain Guide. The IFMGA sets the international standard for mountain guides. This course is applicable to aspiring guides, guides prepping for AMGA courses and exams or recreational backcountry skiers who want the notch up their skills toward a professional level. This is a custom course so please email Joe to inquire. Joe will consider taking locals for practicum (unpaid assistant/shadow guiding) experience if you are preparing for your AMGA exam. See Ski Guide Training posts. One to three days in October through July. Recent avalanche companion rescue practice. We will have assessment and review before our tour.